Did you know that the number one fear of most Americans is public speaking? Maybe you’re nodding along because that’s how you feel. Maybe you forgot a line in your fourth grade play, botched your graduation speech, tripped on your way to accept an award, or flubbed that huge presentation – and now you never, ever want to speak in front of people again. Just the thought of it doubles your heart rate. For many people, fear of public speaking stems from a real, actual incident in their past, something they can’t quite get over. You might even feel like it’s a silly fear – you’re an accomplished professional! who cares what happened in fourth grade? Regardless, it’s preventing you from doing big things: pitching new clients, asking for a raise, even giving a toast at your sister’s wedding. It’s incredibly normal to be afraid of public speaking. It’s also shockingly easy to get past those fears. Enter Daphna Slonim MD. Daphna Slonim, MD. is a Board Certified psychiatrist based in Los Angeles, California, and has been in practice for over 35 years. She is the author of The First Key: How to Remove Subconscious Sabotage. 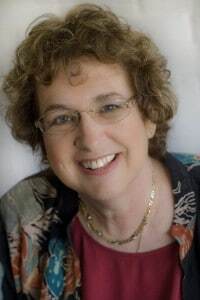 Using the basic tenets of Energy Muscle Testing and Energy Psychology, she adapted and developed her own techniques for addressing trauma with her patients, which she has done for over 20 years. Most recently she was a co-director of a NATO project preparing first responders in former USSR countries to deal with acts of terrorism and natural disasters in 2007. She is currently the Medical Director of the DSA Medical Clinic in Beverly Hills, CA and has been since 1987. I am thrilled to present this course with Dr. Slonim to bring her wisdom and expertise to YOU. Sounds too good to be true, right? Maybe you’ve tried Toastmasters but it was too intimidating. Or they taught you to change the timber of your voice – which didn’t really do much to help with your fear. Release Your Fear of Public Speaking is different from other speaking courses. Wouldn’t it be wonderful to feel in control again? To jump up when someone asks you to say a few words about a project? To volunteer to share your insights with the group? To feel confident and clever when you’re called upon to speak – not shaky and sweaty? It’s possible. Even better? You can get started today and see changes almost immediately. This is one of the most insightful courses I’ve ever gone through on the subject of public speaking. Going to go through the course again to further absorb the information, then begin executing them. Thank you Alexa and Dr. Slonim for putting this remarkable piece of know-how together. I’ve become big fan of Alexa. She really has 1000 watt presence. I get so much positive energy watching her. I was bit skeptical about the tools and techniques shown in the course but after trying those I am really surprised. This thing works like a magic! I’m going to register for all her courses. Ready to get over your fear of public speaking once and for all? 2. Start the course and then actually do it. Fill out the worksheets. Find a partner to practice with. Work through the exercises. I have so much faith in this course (and I’ve seen it work for so many people) that if you show me that you’ve done the work and you’re not over your fear, I’ll give you a full refund. There are toasts to make, presentations to nail and they’ve all got your name on them.